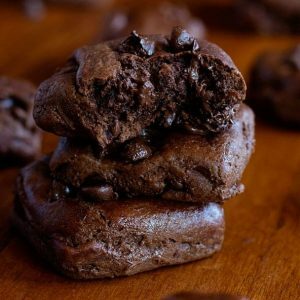 I have made more cookie recipes than the average person, so I know when I come across a good one! 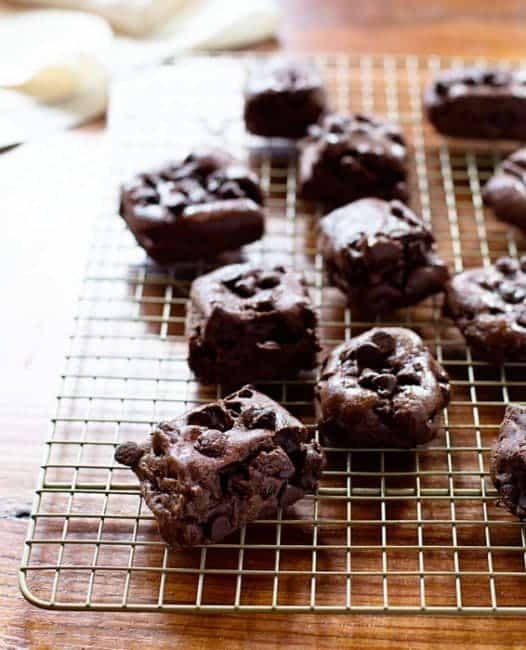 This 100 Layer Chocolate Cookie recipe is a WINNER! What exactly is a 100-layer cookie? 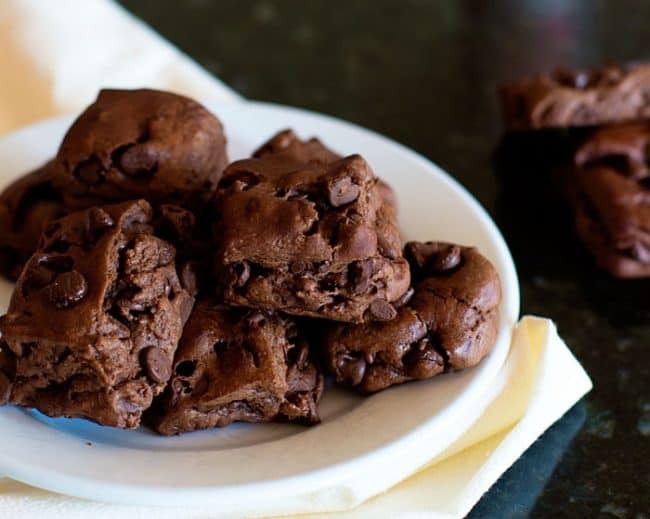 It is basically a Double Chocolate Chip cookie. But the magic happens when you roll the cookie dough layers flat and then stack them on top of itself and rolling it out again. And again. And again. You don’t technically need to repeat that 100 times, although you could if you happen to have little helpers in the kitchen who each want a turn! These cookies are absolutely perfect. Not only are they perfect, they are perfectly adaptable. It’s one easy recipe that lends itself to any cookie I can dream up! The beginning of the school year is definitely a bitter-sweet time in our home. While I love the school that my kids’ go to and absolutely love the hearts of each of their teachers, I just miss them terribly when they are gone for the day. When they burst through the door after school they are often thinking about homework or getting ready for after-school activities or any chores that they need to do. But some days we do something different. We drop everything and just bake together. 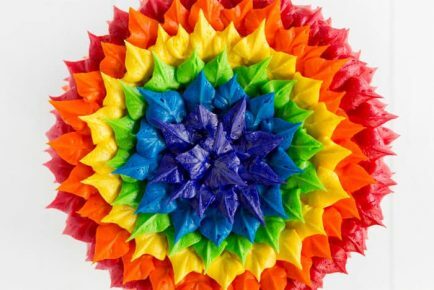 Someone picks the flavor and then we all get busy putting together their creation! 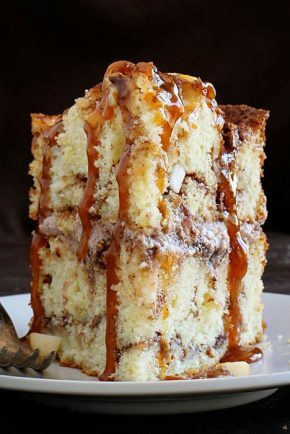 I can change it anyway the kids want… adding sprinkles or butterscotch chips or marshmallow topping! This 100 Layer Chocolate Chocolate Cookie was my oldest son’s creation. My kids love everything about these cookies. I mean everything. They love that they get to throw chocolate morsels on top of dough. The messier, the better! They love rolling the cookie dough layers flat and then stacking on top of itself and rolling it out again. 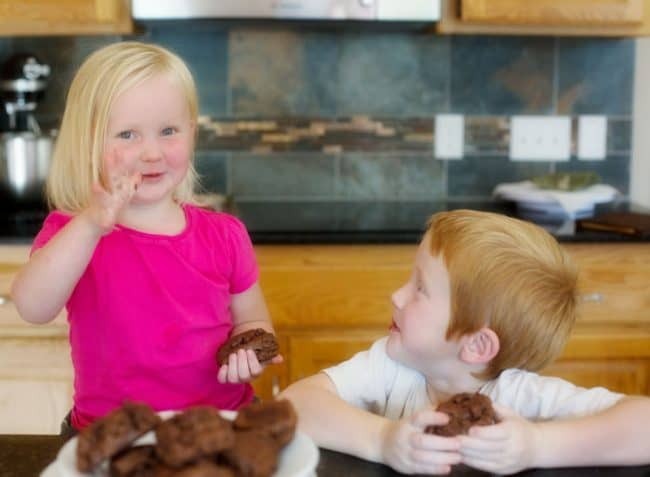 This recipe is so versatile that I can give all five kids a turn at rolling! They love that they can see double chocolate when they bite into their cookie. They love that they eat them just after they have cooled a bit, but are still hot enough for the chocolate to melt all over their sweet little fingers. And I love seeing them smile. Mix brown sugar, granulated sugar, butter, egg, egg yolk and vanilla in a large bowl until well mixed. 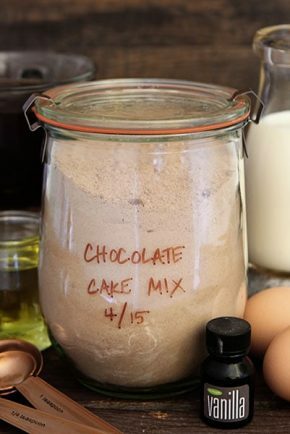 Stir in flour, cocoa powder, baking powder, salt and baking soda until blended (dough will be soft and creamy). Unwrap the chilled dough and place on a lightly floured work surface. (I dusted my surface with cocoa powder) Roll out to about 1/2-1 inch thick. 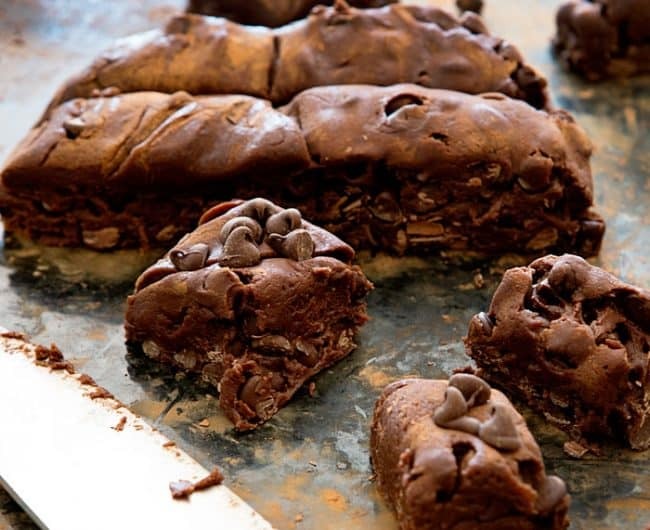 Sprinkle with half the chocolate morsels on top of the first portion of chilled dough. Roll out the second dough ball and then set on top. Sprinkle with remaining chocolate and top and then set the final portion of dough on top of that. Gently flatten with rolling pin and try to create a square with the cookie dough. You can fold the dough over itself and roll the cookies again if desired. These cookies do not rise very much so the make sure your dough is the desired thickness of the final cookie before moving on to the next step. Re-roll any leftover batter. You can stack it on itself to keep creating layers of chocolate chip cookie dough. Cool a couple minutes on baking sheets and then transfer to a wire rack to cool completely. This is my classic Chocolate Chip Cookie recipe. It’s the best! 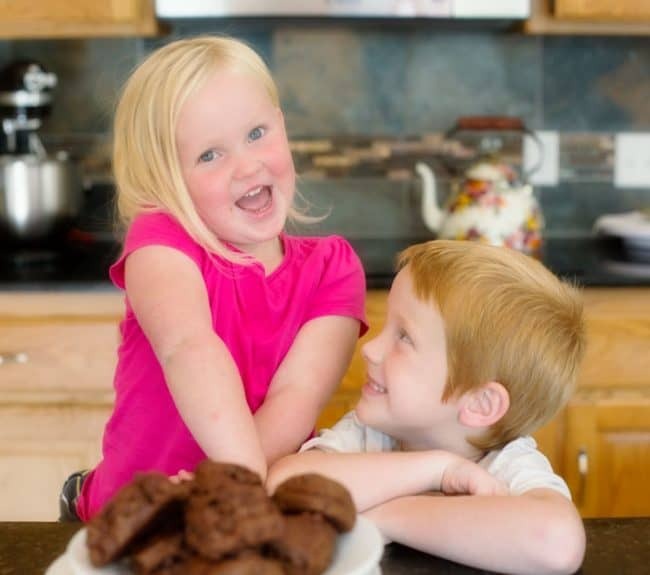 Hope you love these Double Chocolate Chip Cookies as much as we do! 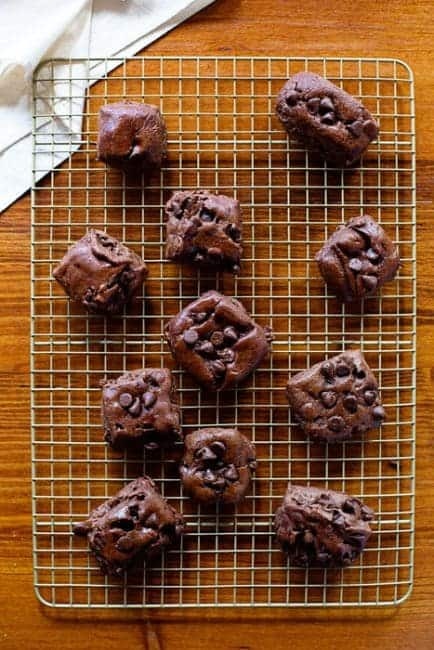 If you use their awesome recipe to create your own cookies, let me know! I would love to see! 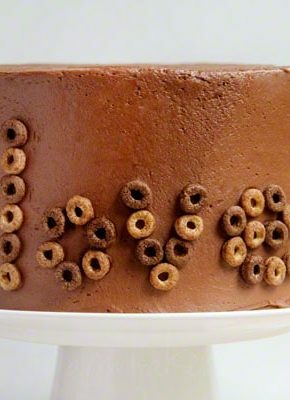 Use the #iambaker hashtag to follow along and see what other bakers are creating! I am guessing these will turn out as awesome with real butter vs margarine (don’t/won’t use/buy it). I will make these on Saturday or Sunday! Have you tried the recipe with butter? I only use butter as well but wanted to try the recipe. Thanks! These look so good! I love that you layered the chips in, instead of just mixing them into the dough. I bet it would be fantastic with big chocolate chunks instead of the chips! what is country crock i am in Australia is there anything else you can use? Country Crock is margarine. You can also use butter. Sugar free alternative to this? What a fun way to make memories with your kids! When I read 100 layers I thought it was going to be like the 100-layer challenges and it was going to be something a mile high, hehe.. These look very delicious, by the way! Your son is in fact a genius! 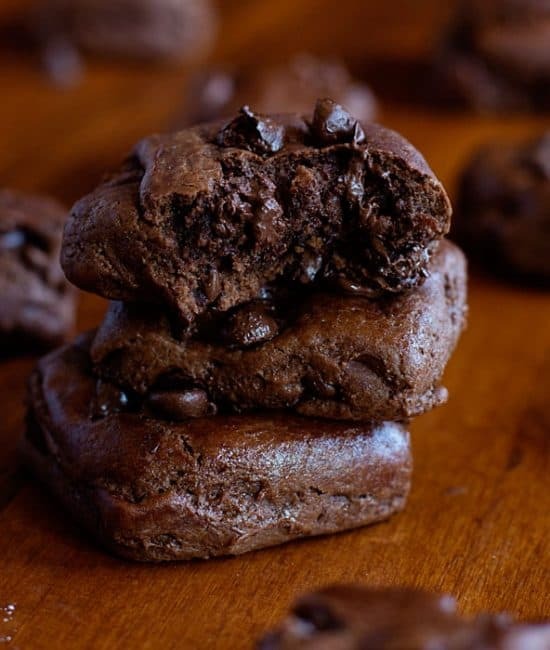 I would love to indulge this chocolate cookies! Excellent! :-O Wow after seeing those photos now I’m craving for these chocolate cookies nom nom, they look delicious! How many cookies does this or what thickness should it be rolled out to? Recipe sound wonderful, making them today! I made these cookies to the “T”. The rolling out of the dough wasn’t as easy as your video showed. I need to get taste them to decide if it’s worth to make again. Next time i would use 1/2 to 3/4 cup of chocolate chips per layer. Maybe that will help the rolling out of the dough. I love this recipe and I love your Site!! 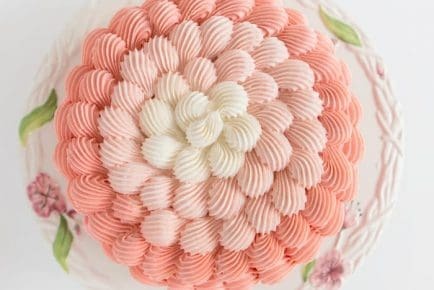 Easy delicious recipes that my Family love. Hello. Has anyone tried these with m&ms or butterscotch chips? Milk or darker chocolate recommended?